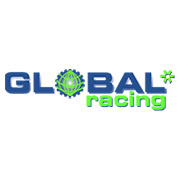 This team is unique in that it was made up of at least 1 rider from each of the World's inhabited continents, demonstrating that Mountain Bike Racing was indeed a global top level cycle sport. The team made history by winning the Men's World Cup DH Title and the Team World Cup Title in its first year of existence. Racing Orange bikes, and funded by Arai Mountain in Japan, the team had various riders throughout the 3 years of existence. Namely Greg Minnaar (RSA), Missy Giove (USA), Mick Hannah (AUS), Sean McCarroll (AUS), Matti Lehikoinen (FIN), Andrew Neethling (RSA), Cesar Rojo (ESP), Markolf Berchtold (BRA), Naoki Idegawa (JPN), Marielle Saner (SUI), Daisaku Kaneko (JPN), Lindsay Klein (AUS) and Karlis Kisuro (LAT).